When choosing your new lawn mower, essentially there are two main categories you’ll have to choose from first: walk behind mowers and riding mowers. As the name suggests, with a walk behind mower you…….walk behind it. They tend to be a good option if you’re on a limited budget, as riding mowers can set you back a few thousand. Walk behind mowers come in a variety of different sizes so there’s always one to suit whatever size lawn you have. 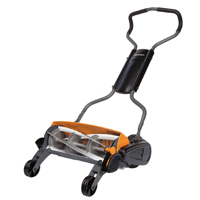 Hill & Slope Master – If you’ve got any sloping lawn you need to maintain, walk behind mowers are up to the job – although you’d be best to choose one with a self propel system. 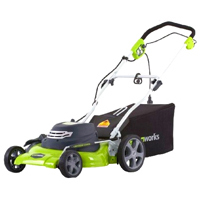 Borders & Fences – This type of mower is a lot smaller than a riding mower, allowing them to squeeze into tighter spaces and cut in places where it just wouldn’t be possible with a riding mower. Reduced Risk Of Turf Tear – Because they use smaller wheels and weigh a lot less than riding mowers, they put a lot less pressure on the turf, reducing the chances that your lawn will be damaged. 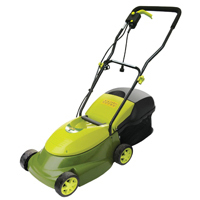 Affordable – Whilst it’s true you can shell a lot of money out on a walk behind mower, you can pick up a simple, no frills model for real low cost. A cheaper riding mower equates to the cost of a high end walk behind model. 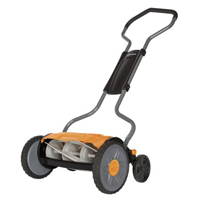 Easy To Store – Owing to the fact that walk behind mowers are smaller, they take up less space and are easier to store. Easier To Transport – Again, because they are smaller and lighter they are easier to transport should you need to mow at a friend’s houses.